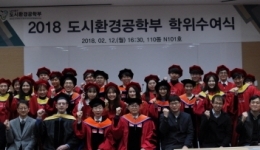 Photos taken on 2018 UEE Commencement Ceremony day are attached below. – Time : 2019.0..
Interdisciplinary Project Poster Presentation for 2018-2nd semester has held as below. ■ Time :.. There was a job mentoring by UEE Graduates as below. ■ Time : 2018.11.15. 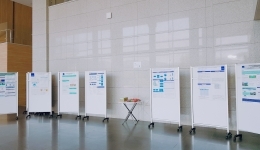 (Thu) 19:00 ■ Place : ..
Interdisciplinary Project Poster Presentation for 2018-1st semester has held as below. 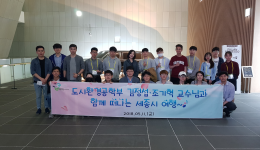 ■ Time :..
U희왕(U are the best at enjoying yourselves at UEE), the information session of UEE – time ..
As a part of UIE203 and UIE405, 20 students with Prof. Jeongseob Kim and Prof. Gihyoug Cho went..
2018-1 UEE Members’ meeting – Time : 2018.03.22(Thu) 19:00~ – Venue ..
[Zhejiang University Student and Professor Visited UNIST] ㅁ Time : 2018. 02.28(Wed) 14:00.. Photos taken on 2018 UEE Commencement Ceremony are attached below ■ Time : 2018. 02. 12(Mon) ..